In its most recent Mobility Index Report for the second quarter of 2015, Good found iOS accounted for 64 percent of all device activations on its network, down from 70 percent last quarter. Taking advantage of the situation was Android, which saw its marketshare jump from 26 percent to 32 percent over the same period. Data suggests the shift is due in large part to a dramatic erosion of iPad's sector influence. Apple's tablet has for the last year been enterprise's go-to device, taking anywhere from 80 to 90 percent of activations per quarter, but that lead is being threatened by Android and Windows. Non-iOS platforms saw substantial gains as more businesses turn to slates as laptop replacements. Android share grew from 15 percent to 25 percent during quarter two, while Windows jumped from 4 percent to 11 percent over the same period. 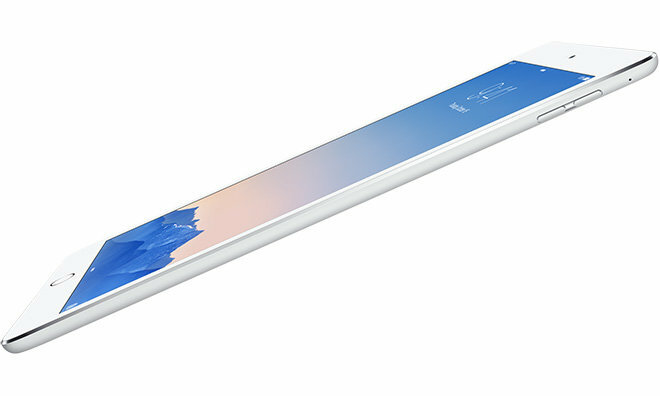 In what could be framed as a bid to bolster enterprise marketshare, Apple is said to be working on a 12.9-inch iPad model, dubbed "iPad Pro," that some predict will be marketed toward business customers. With more screen real estate, users would be able run point of sale systems, enterprise-centric apps or jot down notes with a rumored Apple-branded stylus. In addition, the upcoming iOS 9 sports a number of iPad-only features that mimic desktop operation, such as split-screen multitasking, picture-in-picture video, a revamped soft keyboard and customizable keyboard shortcuts. On a sector-by-sector basis, Apple's iOS continued to lead in regulated industries, taking 79 percent of public sector, 70 percent of healthcare, 65 percent of insurance and 63 percent of financial activations. Education was another strong point this past quarter, with Apple products accounting for 76 percent of all activated devices. Android gained ground in a few categories and surpasses iOS for the first time in high-tech with a 53-percent marketshare. Google's platform also saw an uptick in energy and manufacturing, where its marketshare reached 48 percent and 42 percent, respectively. Good Technology aggregated activation data from its global customer base of more than 6,200 organizations for its most recent study. The report notes BlackBerry products are not accounted for, as those devices operate solely on the company's closed Enterprise Server.